Posted by admin on July 16, 2010; This entry is filed under China, Chongming Island, Design Role Analysis, Envisioning, Shangai, Xianqiao Village, Xianqio Village > Chongming Island > Shangai > China. 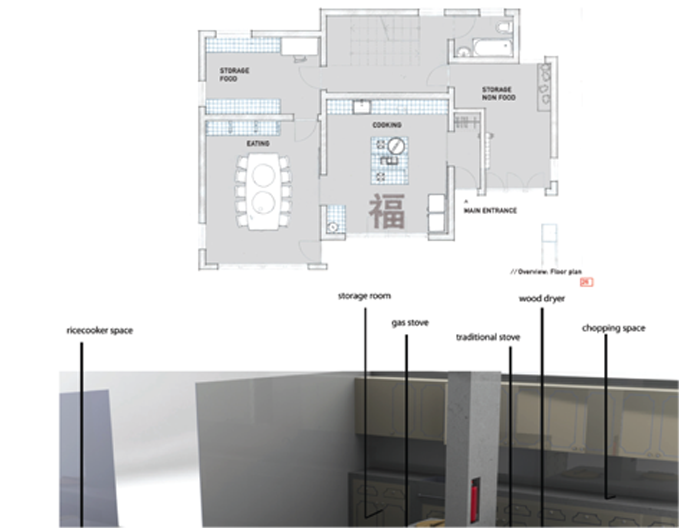 (scenario, proposals, simulation and rapid prototyping are used to stimulate and orientate the design partners and stakeholders in the design process). 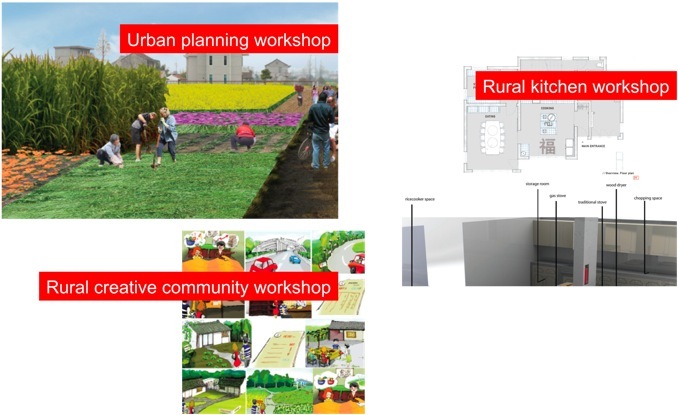 The aim of this area is to create a set of sustainable design solutions for the transition between rural Chong Ming communities and urban Shanghai communities this can be achieved by the design of systems that balance technology, activities and services that enrich the users lives. Food: Ping Heng Dao is a service that aims to transform the village into the land of balance where eating has a natural role in healthy lifestyle. It provides the balance and the connection between food and life by discovering and exploiting traditional medical food. Agriculture: Bio Ming is a service that brings to the urban customer an organic choice of products from the island. 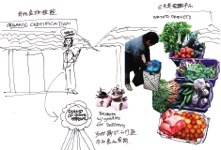 Fruits and vegetables are local seasonal and regularly delivered to different point of sale in shanghai. 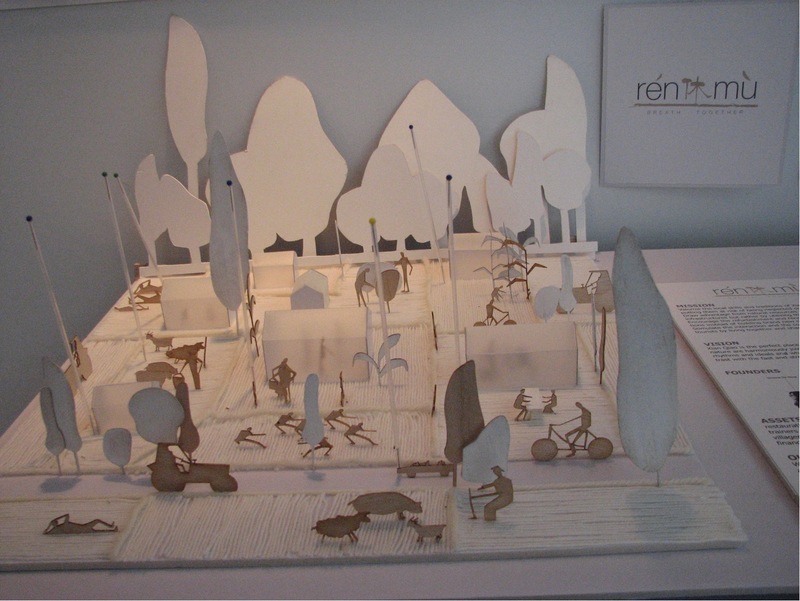 Hospitality: Renmù is a service that valorizes the local habits of the villagers in welcoming visitors. It encourages the renovation of traditional constructions for accommodating the visitors, instead of building new ones and stimulates interactions and cooperation with villagers. Mobility: Hi Field is a service that makes fields paths accessible by the visitors and more attractive for the villagers by creating a system of trails allowing them to get closer to the intangible pleasures of nature. Health: H+ is a service that provides health packages on the island, making participants practice open air activities while enjoying nature. Specific design tools used to support envisioning have been: moodboard, storyboard, system map, physical prototype that helped participants to visualize solutions, modify and adapt them, to generate new ideas.